NIKE warehouse sale - Hello! Welcome to my blog! 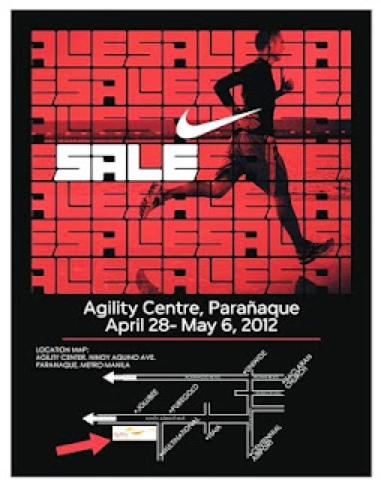 The much-awaited Nike Warehouse SALE at the Agility Center runs on April 28 - May 6, 2012 from 10am to 6pm. I know i posted this late because i found out late also. Thanks to my office mate Raul who shared this info. Map is also provided below just in case you guys wanna catch up.